New Jersey Transit has become the first public transportation operator to announce plans to enable travellers to pay for fares with Google Wallet-enabled NFC phones. 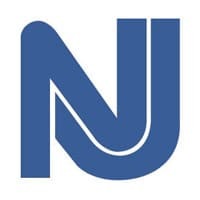 NJ Transit is to enable travellers to pay for their fares with NFC phones equipped with Google Wallet at selected stations and on a number of bus services. NJ Transit, the third largest provider of bus, rail and light rail transit services in the US with services linking major points in New Jersey, New York and Philadelphia, is the first public transportation operator to sign up for Google Wallet. Utah Transit Authority is also to allow travellers to pay for fares with their NFC phones, via a deal with mobile network operator-owned NFC venture Isis, from next year. Travellers will be able to use Google Wallet to purchase travel tickets at New York Penn Station ticket vending machines and ticket windows, Newark Liberty International Airport Station (AirTrain) and on bus routes 6, 43, 80, 81, 87, and 120 as well as some buses on the 126 line. NJ Transit has previously been involved in testing payments via contactless cards in conjunction with Visa, MTA New York City Transit and The Port Authority of New York and New Jersey. The pilot also allowed commuters on the Lexington Avenue subway line to pay fares with NFC-equipped mobile phones.